The Wienermobile is a part of American History and a great memory from my childhood. 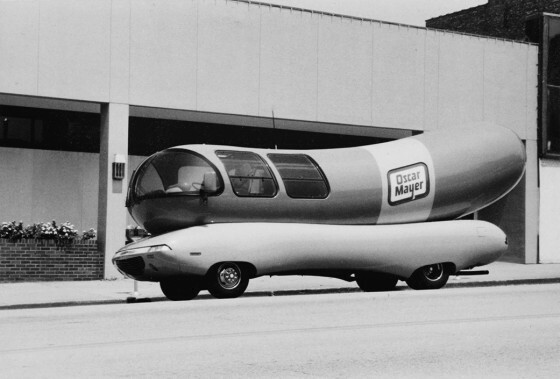 The first version was created in 1936 by Oscar Mayer’s nephew, Carl G. Mayer. The 1995 version, I photographed, was 27 feet long and 11 feet high. It was built on a purpose-built chassis with Pontiac Grand Am headlights and Pontiac Trans Am taillights. It was one badass wiener!